Man of the World 2017 winner Mostafa Elezali talks about his love for the Philippines. After winning the Man of the World title in 2017, model-turned-actor Mostafa Elezali said he has no regrets leaving his hometown in Egypt to pursue a career in showbiz in the Philippines. “I arrived in the Philippines in March 2017 after nanalo ako ng Man of the World the same year. So I went back to Egypt but my heart was left here so I came back here and I started to do Tagalog workshops. I will do my best just to show my fans that supported me and as they requested to see me in show business here in the Philippines so I’m working so hard for it,” he told PUSH. 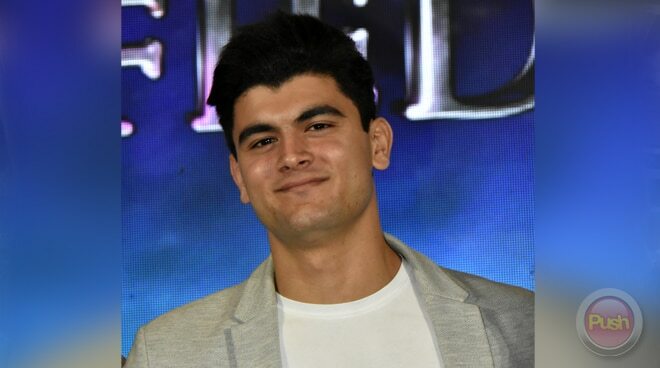 Mostafa plays the role of the main villain in the digital film Mystified which stars Iza Calzado, Karylle, Sunshine Cruz, Sunshine Dizon, and Diana Zubiri. “I’m a trainee under Star Magic right now. I play the role of Luvictus in Mystified. It’s really a new experience for me and I’m such a lucky person to work with those big celebrities. Yes, finally I got the chance to be an actor here in the Philippines. I do my best here in this movie. It was quite hard but they got me for the features because they match the features of Luvictus. It was really nice on our set and I really had a good time with them. They were really friendly with me and they are really funny. I didn’t feel the pressure,” he said. At 28, Mostafa said it’s been only three years since he started modeling. “I used to be an accountant by profession but I shifted my career. To keep in shape, I work out. I go swimming, surfing, and basketball. I’m a model. I started modeling in Dubai,” he said. Currently single, Mostafa said he appreciates Filipina beauty. “All the Filipinas are beautiful you know (laughs). I really like Megan Fox but when it comes to the Philippines I really like the features of Liza Soberano,” he added. Among all the local actors, the half-Egyptian, half-Turkish actor said he looks up to Dingdong Dantes the most. “I met him in Eat Bulaga and he told me what to do. Until now, this guy keeps taking workshops in acting. Look how big he is and until now he is still learning, so he is my inspiration. He’s not only famous but he’s loved by his fans so I would like to be like him. He is so hardworking,” he said.